Winter is one of the most unpredictable seasons in Iceland, learn about everything you need to know before traveling to Iceland in winter. If you are wondering when winter is read my blog about the different season in Iceland. 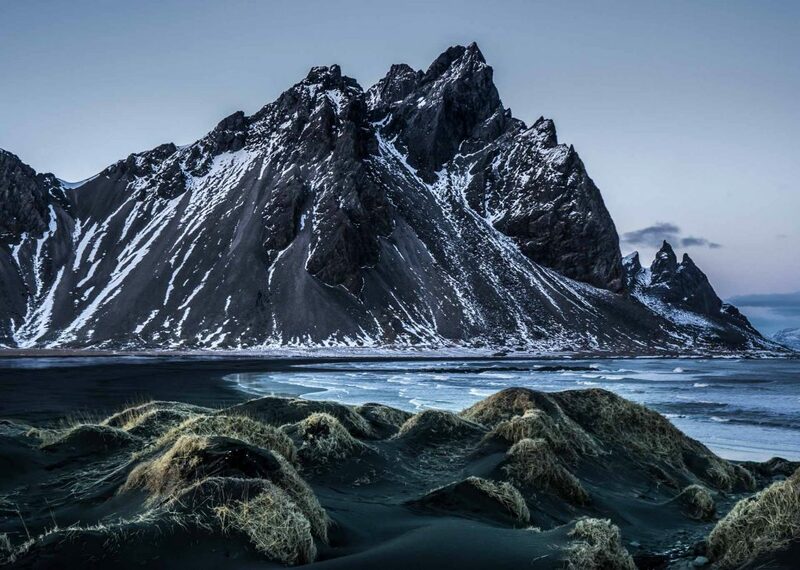 People often think the weather in Iceland is super cold and snowy in the winter. The reality though is that the average temperature -5° to 5° degrees Celsius. The weather varies a little bit depending on if you are in the north or the south. In the north, you can expect a little bit colder climate and more snow. In the south, you can experience a warmer climate and less snow. But the problem is the unpredictable weather, one moment you might have calm and beautiful winter weather, the other you might have a horizontal rain or snow storm. This requires you to be constantly checking the weather forecast and road conditions. You find the weather forecast here and the road conditions and closings here. 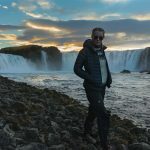 For more helpful websites for your travel check out my blog about the website you should know when traveling in Iceland. 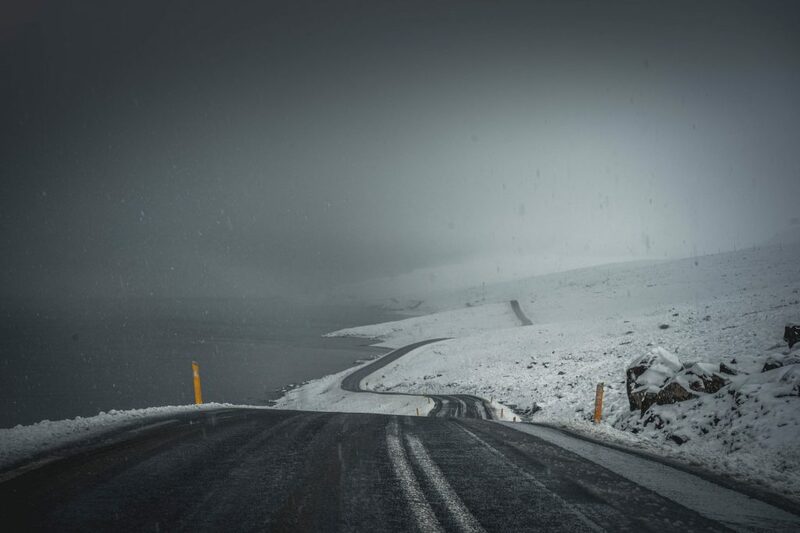 The unpredictable weather is one of the most important things you need to know about before traveling to Iceland in winter. The unpredictable weather often causes the road condition to be difficult, icy, snowy, and windy roads are quite common in the winter. So it’s very important to drive according to conditions. If you have limited driving skills and not used to driving on the snowy or icy surface you might want to consider hiring a guide that drives for you or join a tour. The weather can also close roads temporarily so this can change your time schedule quite easily. A lot of roads are closed throughout the winter months, such as the highlands, very important to respect that, they are closed for a reason. You should check out my blog about driving in winter in Iceland, for more information, and must know things. Due to the weather, you can also expect activities to be canceled. The winter weather often requires tour operators to cancel their activities due to dangerous conditions. Often they will offer you to reschedule if possible. So very important to be well connected and check your emails if you have booked a tour in case the weather is bad. No need to get angry, they will only cancel if the conditions are dangerous and to protect you. If you are prepared and know about this possibility before traveling to Iceland in winter you won’t be as disappointing it because you know it’s part of the game. To make your traveling to Iceland in winter as enjoyable as possible it’s important to pack correctly, you don’t want to visit Iceland in winter in jeans and a hoodie. You want to have warm clothes to protect you from the wind and cold. So a warm parka or many layers are must when traveling in Iceland along with good waterproof shoes. Two other local tips are don’t forget your swimsuit even though it’s winter and buy a pair of microspikes for your trip. 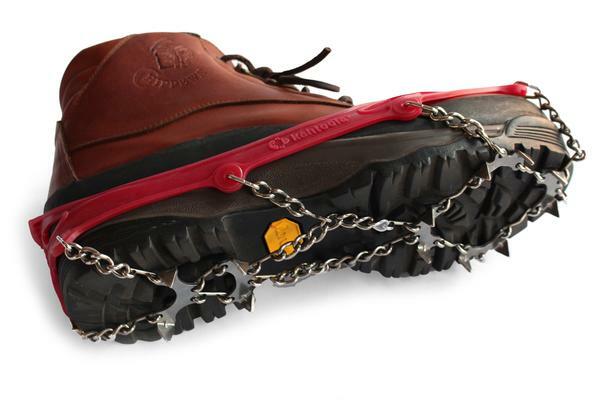 Microspikes are small spikes to put under your shoes, they are super helpful when exploring many sights on your travel if it’s icy. Visiting the waterfalls in the south, for example, can be super icy and dangerous without spikes. 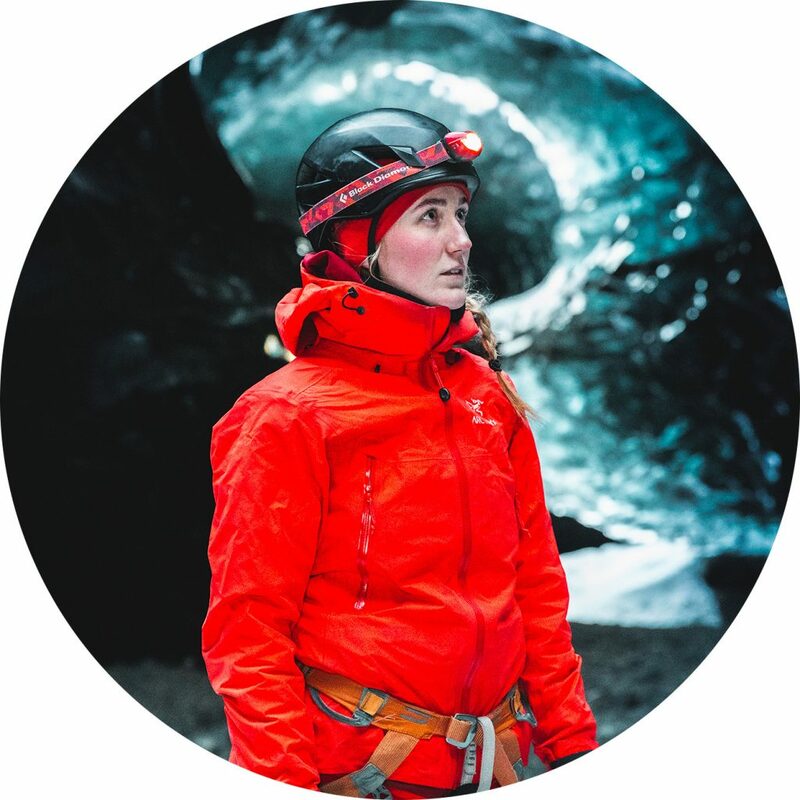 In my blog about what to wear in Iceland in winter, you’ll find more detailed information about what to wear. A lot of people come to Iceland to see the northern lights, understandable, they are magical and so worth visiting for. But it’s not 100% guaranteed you will see them. First of all, they are a natural thing so we do not control when we get to see them. 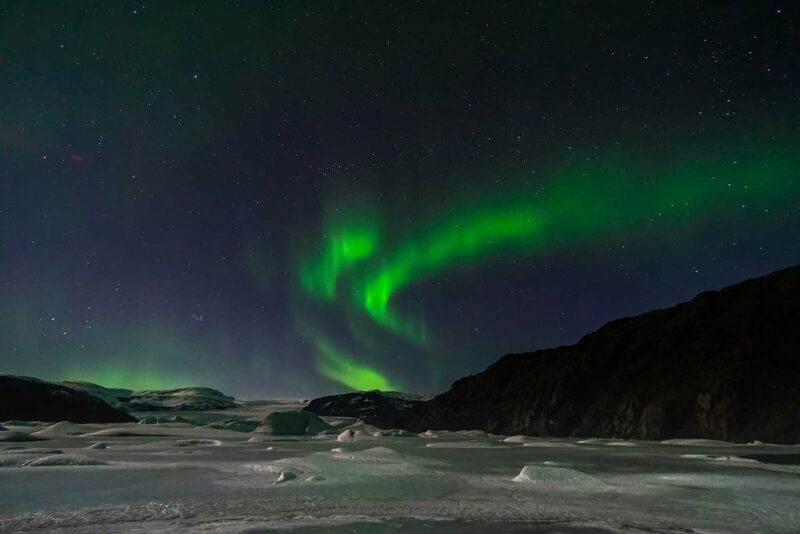 To see the northern lights you need a little bit of luck on your side. To see the northern lights you need a clear sky, little to no light pollution, and good activity. Looking for northern lights requires patient and very warm clothes, maybe even hot chocolate and a blanket. They might come out for only a few minutes or you might see the whole sky dancing. To learn everything about the northern lights and how to maximize your chances of seeing them check my blog about northern lights out. In the winter the daylight can be limited, the shortest day is can be between 20-23d of December. The shortest day is around 4 hours long, so quite short. That doesn’t mean there is only daylight for four hours you could have daylight for up to 6 hours if there are a clear sky and bright weather. It’s important to be aware of this and plan according to this because if you plan on doing really long days, half of the travel might then be in complete darkness and therefore limiting your view of the country. The limited daylight causes us to experience sunrise and sunset in a very short period of time and the light throughout these short days can be very beautiful. It’s very good for the people who have a hard time waking up super early for sunrise, it happens quite late in the winter. Often the stormy weather also offers great light for moody photography and the black and white landscape looks magical. 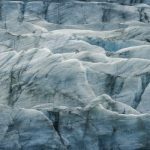 On this list, I put together all things I consider really important to know before traveling to Iceland in winter. 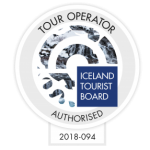 On my page, you’ll also find many other helpful blogs about Iceland and your travel around check it out here.